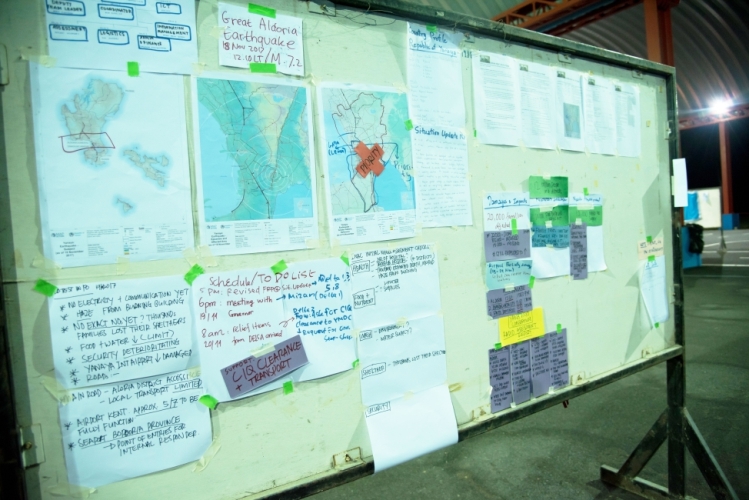 Mapping is perhaps one of the first things that springs to mind when we think of disaster preparedness and response. It forms an integral element of determining affected areas, infrastructure and terrain, as well as access for supplies both in preparedness planning and when disaster strikes. MapAction has been supporting the emergency management sector with professional mapping services, sending teams to respond to around 80 disasters across the world, and impacting the lives of tens of millions since its establishment in 2002. Based on such experience, and the importance of mapping within the disaster management context, the AHA Centre and MapAction recently formalised their working partnership through the signing of a Memorandum of Intent (MoI) during the 8th Meeting of the Governing Board of the AHA Centre held in Kuala Lumpur, Malaysia, on 27 June 2018. 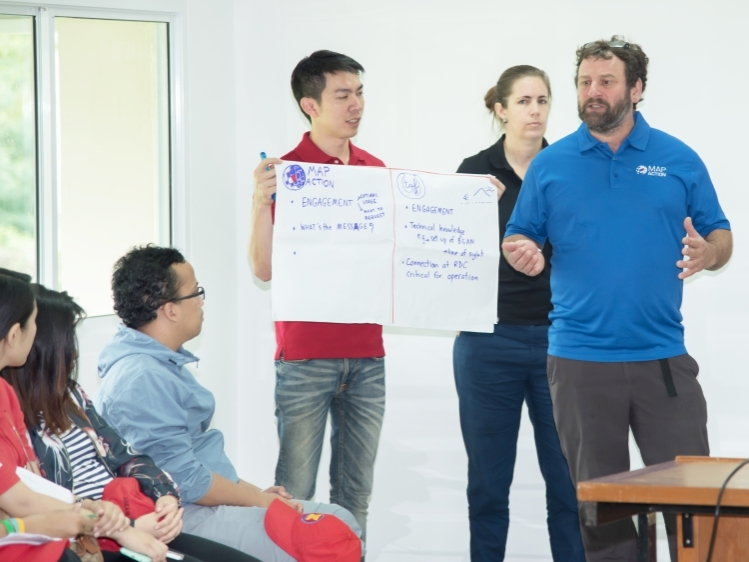 Although the ink is still drying on the formal partnership between the AHA Centre and MapAction, the two institutions have already forged a strong working relationship throughout recent years, primarily engaging through the AHA Centre-led ASEAN Emergency Response and Assessment Team (ASEAN-ERAT) training programme. 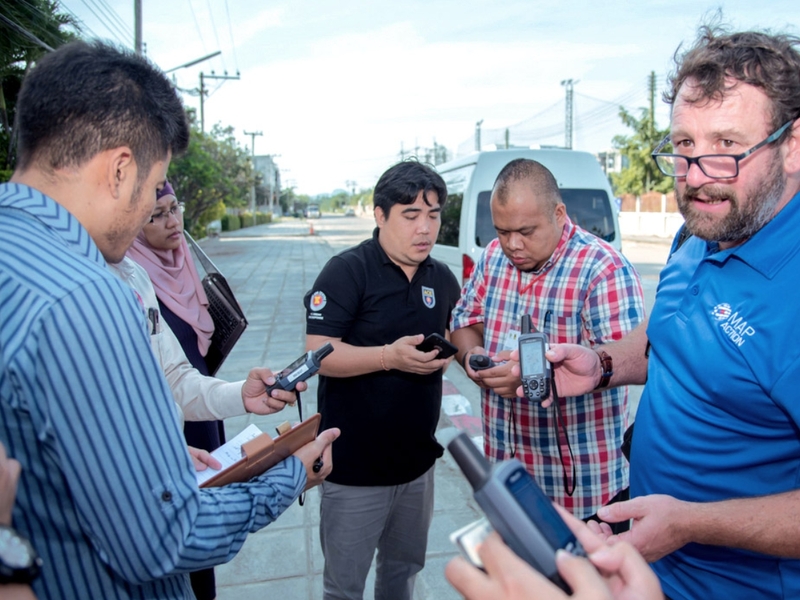 MapAction has provided valuable support to participants in the ASEAN-ERAT workshops, with hands-on training using state-of-the-art mapping applications that support the work of ASEAN-ERAT during disaster response. Training on the use of these applications has allowed ASEAN-ERAT members to engage in data visualisation and communication of the impacts of disasters during deployments on the frontline, and such working efforts paved the way for the development of the AHA Centre and MapAction’s formal partnership. This recently signed MoI will ensure that a range of activities will be undertaken with a focus to mutually-beneficial outcomes for both the AHA Centre and MapAction. Under the MoI, MapAction will engage their skills and experience to support the development and implementation of emergency management in the region by providing GIS-based mapping support for ASEAN-ERAT deployments to regional and international emergency response operations, as well as providing GIS-based remote mapping material support for the AHA Centre upon request. Accordingly, the AHA Centre will support MapAction’s work by facilitating access to disaster-affected areas, including obtaining visas and customs clearance for MapAction’s equipment, and also identifying and facilitating potential collaboration opportunities between ASEAN Member States and MapAction to enhance information management and the use of GIS in emergency preparedness and response efforts.